A friend of mine was attacked by a beaver. Now, don’t laugh, it’s true. He told us so himself. 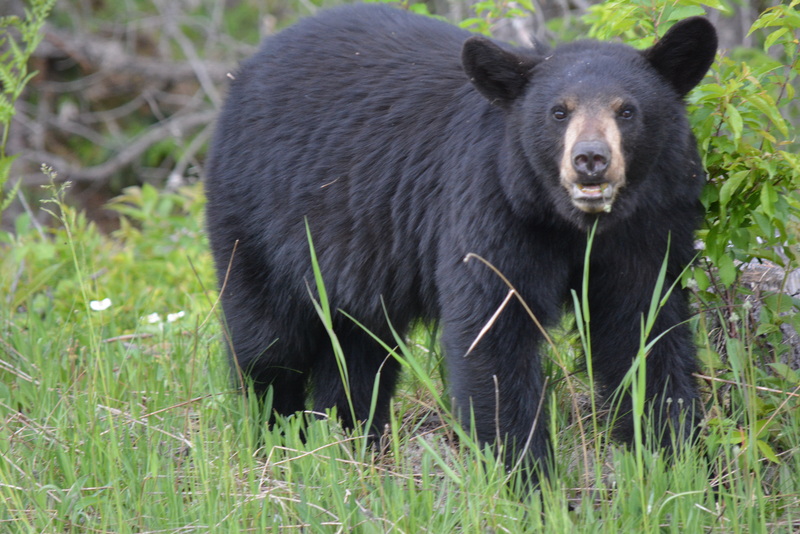 We were at the cottage and there were a few of us, outdoor types, sitting around the campfire exchanging bear stories, when he joins in to tell us how he was nearly mauled by this plump rodent. You can imagine our mirth at his little yarn – we all shared a good laugh. He was serious though, and visibly shaken recalling the experience. This friend is a forestry worker, a consultant. As such, he spends much of his time in the outdoors. He is in the bush through all seasons and in any weather, sunshine, rain and snow. 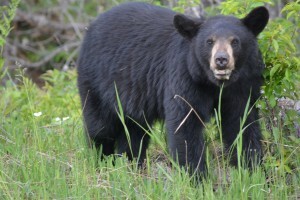 Until the time of the attack, his only worries were the occasional black bear, and the black flies and mosquitoes that torment him each Spring. He has a dog that accompanies him on his wilderness treks, a Siberian husky that loves the outdoors, the adventure and the exercise. Well, not too long ago as he was busy working in the bush, our friend heard the dog barking nearby. Now huskies are not natural barkers, so he deemed the disturbance worth investigating. He found the dog facing off with a rather large beaver – the beaver was confidently eyeing the canine. 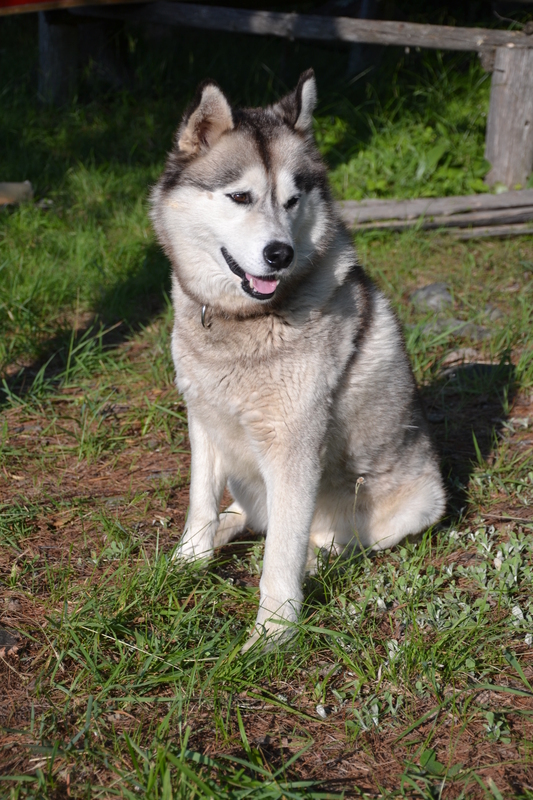 Fearing for the beaver’s well-being, this caring forestry worker called off his well-behaved husky and ordered it to stay at a distance. He was fascinated to see this beaver so far from any water. There was no pond, lake or river in the near vicinity. As he was admiring the pluck of the adventuresome mammal, he was shocked to find himself under attack. The beaver charged, and our poor friend was quickly back-peddling. The awkward looking attacker darted in with more speed than seemed possible. Our hero dipped and dodged, weaved and wobbled, until he found himself with his back to a tree. 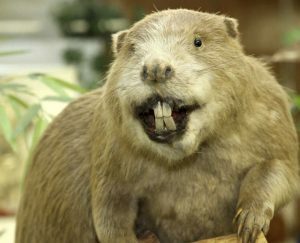 The beaver gnashed his large front teeth. It seemed like curtains for our friend, but like a well-written movie, he found a large stick lying by his right hand. Just in the nick of time, he stuck out the broken branch and held the ferocious creature at bay. The beaver backed off a little and, seizing the opportunity, our brave forester sprinted off. He did not look behind him, did not worry about his dog, did not stop until he had reached the safety of his truck. You can imagine how we laughed when we heard this campfire tale, giggled until our bellies hurt. I feel sorry for laughing now. I have shared my friend’s scary account with others around the lake, and in turn have been given several similar stories of suspense involving the ferocious flat-tailed tree-eater. One poor fellow required stitches in his backside. A beaver had blocked his way over a bridge. He left the safety of his vehicle to gently shoo the cute critter from his path. The beaver charged and the man turned and ran. The fleet-footed fur-ball caught him, pinning the man between truck and bridge guard rail as he struggled to open his door. The beaver latched on to the startled victim’s posterior, gnawing on it like it was a poplar tree. An old rancher friend from the west told me of his own experience. 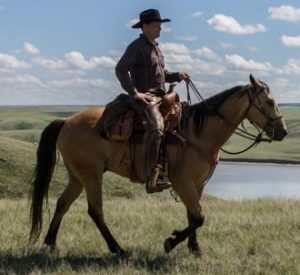 When out riding his horse, repairing fence, he caught site of a beaver far from any pond. Before the cowboy could spit a tobacco plug, the creature had lunged at his mount’s front legs. The beaver put the run on the horse in such an expert fashion, that the cowpoke considered training the agile rodent for cutting cattle. 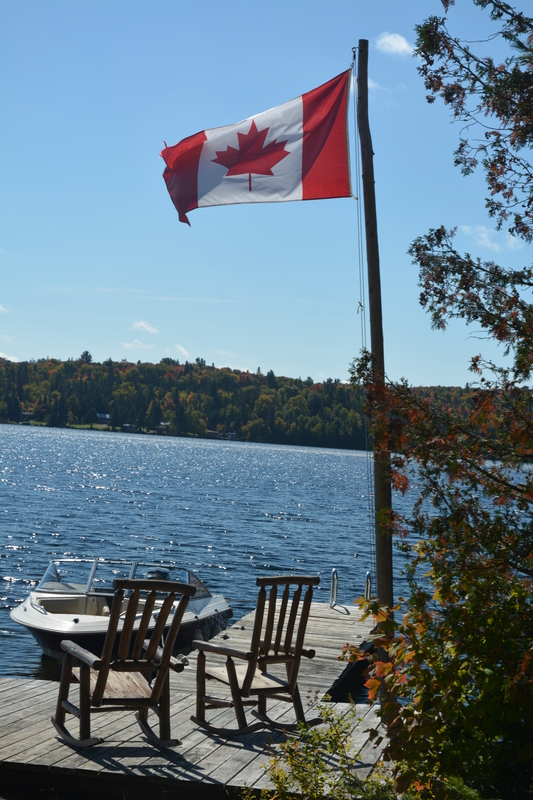 Now we all have our cottage stories of Castor canadensis – of the damage they cause, the trees they thin, the marsh systems they help create, or simply the sound of their wide tail smacking water on a still summer’s night. 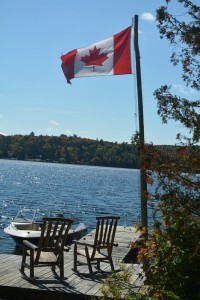 What has put me in mind of these violent tales is that today, as I am writing this, it is Canada Day, a day when we salute our country and feel pride for our flag. It is true we often complain that, as national symbols, the Americans have their bald eagle, the Russians their fearsome bear, and the Brits their king of the beasts, the lion. We have our amphibious rodent. Though these buck-toothed engineers may be industrious, hard-working and skilled, they have never been credited as ferocious warriors.